swpt003 - This is a new Nintendo Switch replacement rechargeable battery pack for the Joy-Con controller model HAC-006. Replace old or worn battery with low capacity. Enjoy the same gaming time like you were playing for the first time. These are High performance NiMH rechargeable batteries Perfectly compatible with Nintendo Switch Joy-con. 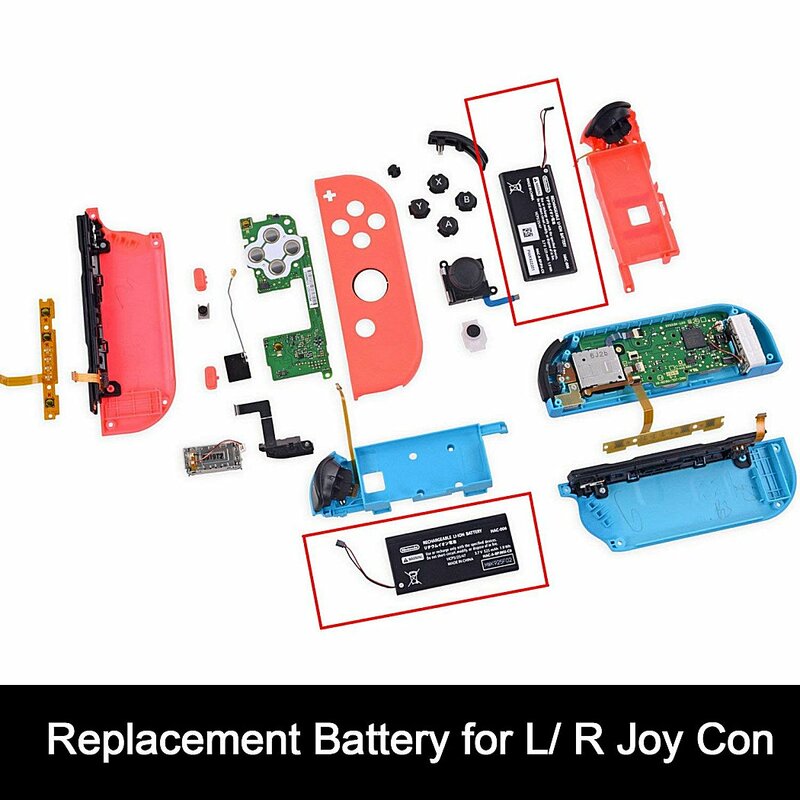 You will need a replacement battery on your joy-cons if your battery is dead, has charging problems, has a short battery charge life, or doesn't charge at all. If your battery is old or worn or weak, this could be your solution. It fits standard Switch Joycons of any color and either the left or right controller. Brand New and sealed - Includes no instructions as we advise professional knowledge / prior experience.